Some of us craft beer lovers believe it’s part of our mission to convince the uninitiated to try (and by extension love) “our” brews and leave mass-market stuff behind. There are the full-on evangelicals who push their ways into bar conversation just as the stranger patron has ordered a Coors Light. There are also the wise guys who need to make references to Budweiser being undrinkable, disgusting, etc. These are the ones that get labeled “beer snobs,” and not in the ironic way that I am. In a recent article by John Verive for the Los Angeles Times, the author describes three craft beer styles that might “convert” the reader into being a beer lover. This is a thoughtful method that beer bar bartenders know well. The patron asks for a Blue Moon. Bartender serves patron Blue Moon. The patron asks for another, but the bartender suggests they try a shotglass full of another beer… maybe it’s a Hoegaarden Original White Ale, or a Weihenstephaner. 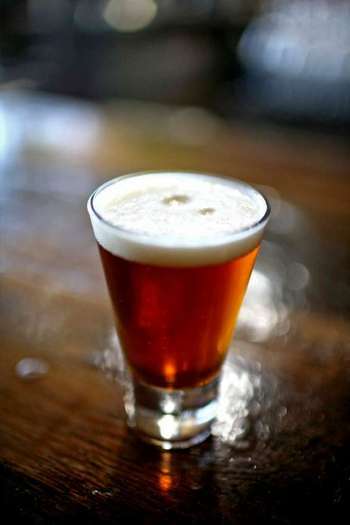 For the bourbon drinker, beers like Kentucky Bourbon Barrel Ale might be a suggestion. White wine drinkers might go for the a beer that’s got pop like Allagash White. Verive recommends the Kolsch as a gateway style, which is spot-on. Assuming the uninitiated in question has tried and tolerated beer that’s light and crisp, but can take more body than a pilsner. I thought that Verive’s choice of a saison was a bit off the mark, because farmhouse ales can be a bit too complex for tender palates. It’s a well-written quick read, and I recommend it. This entry was posted in Beer Snob and tagged gateway beers, Hoegaarden, Weihenstephaner. Bookmark the permalink.